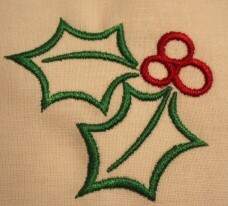 Here you will find designs for your test stitching pleasure. I hope you like how they stitch out and will come back to visit often. Free designs are available in several design formats including PES, DST, HUS, JEF, and EXP and possibly more. Click on the picture to download. Enjoy! Great for luggage tags or many other uses. 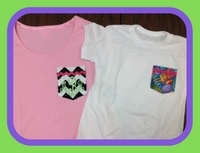 A great way to dress up any t-shirt!! Instructions and design files included to create your own in the hoop pocket. These fun little stars are applique and easy to stitch. 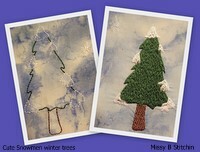 The set of 3 includes a gingerbread, a snowman and a cute tree. This dress was featured in Sew Beautiful Magazine Issue 123. Look for it in the 25th Anniversary issue as well. Download the free standing lace diamonds here. They were created in Designer's Gallery Dining in Lace interactive design CD. This diamond shape design is designed to be used with spaghetti bias. It is used as a template to combine with a free downloadable floral design from Martha Pullen/Sew Beautiful Magazine. Instructions are included so you can make your own towel. A cute holder for a gift card! Hope you have a fun stitchin' day! !